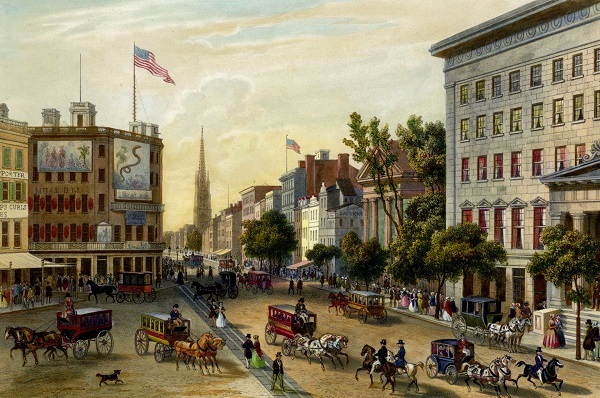 The 2019 Semiannual Meeting of the American Antiquarian Society will be held at the Grolier Club, 47 E 60th St., New York City, on Thursday, the eleventh day of April, at 7:00 o'clock. The meeting will feature “The Lost History of Congressional Violence in Antebellum America,” a lecture by Joanne B. Freeman, Professor of History and American Studies, Yale University. The bar will open at 6 p.m. and the program will begin at 7 p.m. The reception, hosted by AAS Councilor Paul S. Sperry, will continue after the conclusion of Prof. Freeman's lecture. While there are no fees for this year’s meeting, please send a reply with the number of people attending. This announcement of the 2019 semiannual meeting of the American Antiquarian Society appears on this website as an added convenience to members, who also receive a printed invitation in the mail.